The Wawa Foundation and Wawa Community Care are committed to building and maintaining strong relationships with local communities and national partners. To achieve this, we provide focused financial and in-kind support for non-profit and community organizations, as well as event sponsorship and volunteerism. Read below to help determine which type of support best suits your organization’s needs. 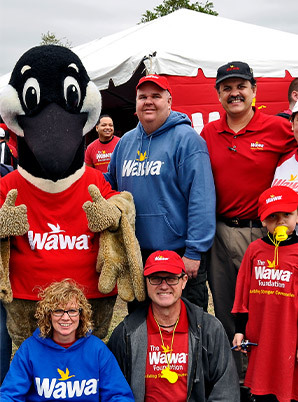 The Wawa Foundation provides financial grants on a local, regional and national level ensuring that our commitment extends from the local communities Wawa serves to the regional footprint Wawa occupies in the mid-Atlantic and Florida. Only registered 501(c)(3) non-profit organizations operating in Wawa’s six-state area are eligible to apply. 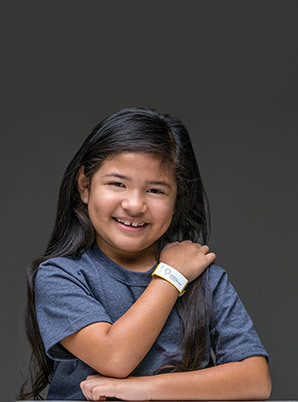 Organizations must fall into The Wawa Foundation’s three key areas of focus: Health, Hunger and Everyday Heroes. To learn more, review our Criteria for Success. Our submission windows for grants over $2,500 for 2019 will be the months of January, April, July and October. Qualified organizations can submit grant requests and Letters of Inquiry during those timeframes. Requests will be reviewed and organizations will receive a response before the next grant submission window opens. The Wawa Foundation has designated grant-making cycles during the calendar year. During those cycles, we accept online applications and Letters of Inquiry related to our areas of focus and funding priorities. If The Wawa Foundation approves the online Letter of Inquiry, the charitable organization may be requested to submit further information. Financial grants less than $2,500 are available to local non-profit organizations. After submitting an online inquiry, you should hear back from a representative from The Wawa Foundation within 4 weeks. Local connection grant inquiries are considered on an ongoing basis while budgeted funds last. Once the budget is reached, further inquiries will be declined for the current year and encouraged to re-apply for the following year. Wawa Community Care considers requests for in-kind donations to help community and youth organizations in our neighborhoods. Product Donations: Wawa brand juices, teas or water. Wawa products must be picked up at a local store and cannot be resold at a program or event. (View Terms and Conditions of product/in-kind donations). Wawa Gift Basket: Selection of Wawa gift items and coupons for silent auction or fund-raising event. Separate from The Wawa Foundation, Wawa provides financial support for charitable events organized by qualified charitable organizations, such as walks or community events benefiting charities in our areas of focus. The donations raised by the events support the charities’ general operating expenses. Typical sponsorships range from $250 to $2,500, and funds are limited. Once the budget is reached, further inquiries will be declined for the current year and encouraged to re-apply for the following year. Only requests submitted through this site via the submissions process will be considered for funding. Requests submitted by mail, phone or e-mail will not be considered for funding and will be directed to complete the online application process.